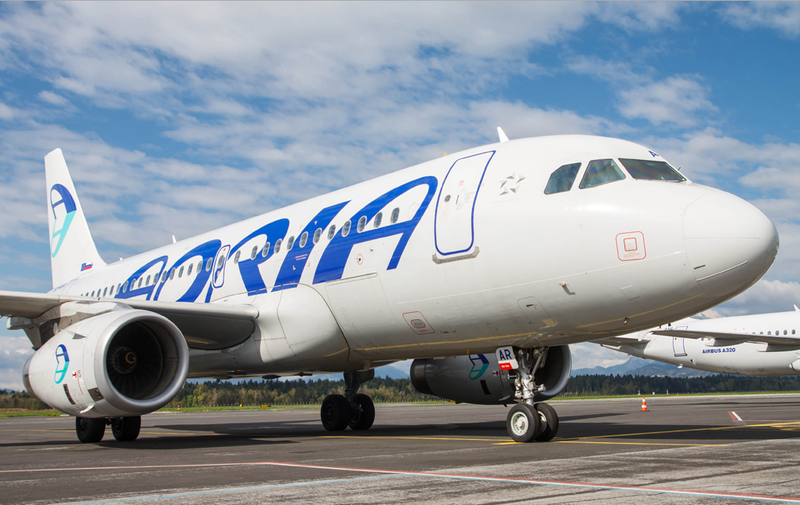 The privatisation processes of three national carriers from the former Yugoslavia - Adria Airways, Croatia Airlines and Montenegro Airlines - are advancing, with the trio expected to sell their shares to foreign investors by the end of the year. Over the weekend, the state-run Slovenian Sovereign Holding (SSH), which is coordinating Adria Airways’ privatisation, selected Dutch-based consulting firm KPMG as a financial advisor for the sale of 91.58% of the airline. The SSH did not wish to disclose any further details on Adria’s sales process, saying only that the public will be informed of any major developments. 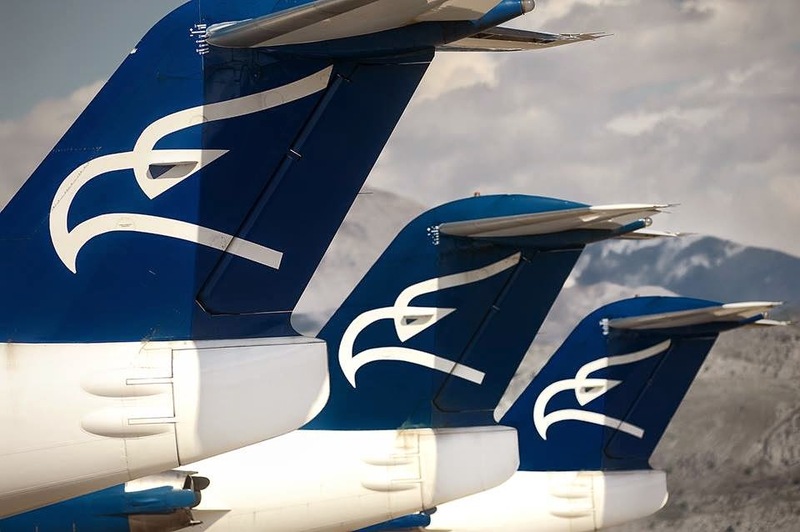 Previously, the CEO of Adria Airways, Mark Anžur, said it would be best to offer the carrier to small airlines or financial investors, as big European players have "problems of their own". Mr. Anžur added, “One problem is that a company from outside of the European Union can only take a 49% stake. Our choices are limited, so in my opinion we can realistically expect interest from Europe. We would like someone with a strong capital base, someone who would allow us to focus on growth and give us more freedom with our own finances. Of course, we can survive without a partner as well”. 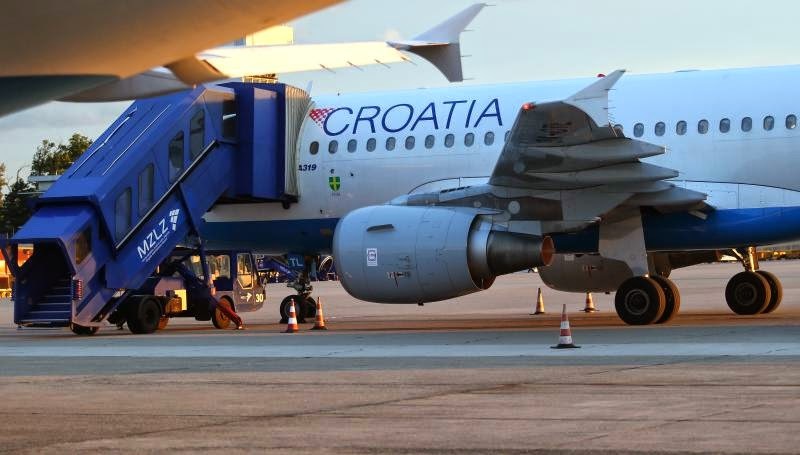 The Croatian government has formally selected the International Finance Corporation (IFC), which finances and provides advice for private sector ventures and projects, and is also a member of the World Bank Group, to find a strategic partner for Croatia Airlines by the end of the year. Commenting on the privatisation process, the carrier’s CEO, Krešimir Kučko, says, “An ideal partner would be someone that would recapitalise the company. A takeover, like the ones we saw in the region and beyond, would not benefit Croatia Airlines”. The CEO adds, “It will be difficult to find a partner from the Far East as they generally do not buy European carriers. On the other hand, companies from the Middle East could show interest. In our view, a strategic partnership should be purely financial. As a company, we no longer have losses and neither are we producing any. Both our international and local suppliers are payed for on time”. Recently, the CEO of Qatar Airways, Akbar Al Baker, said that the carrier is looking to acquire airlines that don't take the resources of Qatar, or attention of Qatar management, to fix issues. “We would be interested to buy a going concern that is profitable and doesn’t need our management time. But I’m not interested in an airline that is in financial trouble and needs restructuring”, Mr. Baker said. Montenegro Airlines is gearing up to sign a strategic partnership agreement with Etihad Airways this June, which could lead to an equity investment on behalf of the Emirati carrier. Montenegro Airlines’ CEO, Daliborka Pejović, recently said, “The new partnership will boost synergies between the two carriers, providing Montenegro Airlines with access to better airport handling services, reduced costs and other benefits enjoyed by Etihad on the market. This partnership is important and will further stimulate Montenegro’s openness and accessibility, serving as the foundation of the country’s transport network”. She added that the two sides are still considering whether the Emirati national carrier should buy a stake in Montenegro Airlines. The Montenegrin government has listed its carrier for privatisation this year. Pretty much only Montenegro Airlines has secured its future. According to MGX internal sources, MGX will go definitly under ETD umbrella. Would be very interesting to see what would happen if Qatar bought Croatia Airlines and how Etihad/Air Serbia would react. who would buy a company that has 4% share on home airport? and once had THY support and pissed them off for many reasons. Even that Libyan airline Buraq Air said they were not interested in B&H after they were given a tour of the airline. Just wait until 31 March for the next phase of flight suspensions from B&H. A cat has nine lives, it seems B&H has ten but their time is running out. Ne bojte se za JA trebaju oni jos BH. Seems like Kucko only wants the model which would see him stay as CEO. Wouldn't you like the same if you were him? Wondering which European airline would buy Adria. They are all in sh*t anyway to be buying anything. Lufthansa to buy Croatia and Adria and put them indirectly in CityLine system same way as Air Dolomiti and put them on feeding routes from LJU, MBX, PUY, RJK, ZAD, SPU, DBV, ZAG, OSI, SJJ, SKP, PRN, TIA to FRA, MUC, VIE and ZRH. does anyone know if Air Serbia is accepting AMEX for tickets on new website? No. Only Master, Visa, Maestro. I think that the German Intro Aviation Group would be a good match for Adria. For Croatia it will be difficult to find something fitting, probably LH Group and OU becoming a member of the Eurowings family. For Montenegro Etihad is best choice as Montenegro would benefit from proximity of AZ hub FCO and JU hub BEG. Monenegro has bilateral with the USA, right? If Etihad buys Montenegro Airlines they could fly to America instead of Air Serbia? In theory yes. But I think you would have a problem shuttling people to Podgorica to fly to the US. It was a great way to spend some cash - you pay for a privatization adviser, tender process and then end the tender and act as if you never even had one. They didn't even bother to announce the results or officially declare it as a failure. Sorry for the OT: Flighteadar is reporting that a Germanwings plane just crashed in France :/ travelling from Barcelona apparently. 144 Passengers, 2 babies and 6 crew feared dead. RIP. The jet that crashed was 24 years old. I wonder what people would tell if this was Air Serbia. For god's sake, let the victims rest in peace and stop comparing everything to Air Serbia! Has anyone here flown BEG-ZAG recently? Is ist full? Some dates, like april 20th, are already unbookable so it must be full? It is bookable on aimrserbia.com, just looked at Apr 20-24 - 124 EUR. Evening flight on 20th is not available for the cheapest airfare (special), but it is saver at 72 EUR. CTN i ADR trebaju da menaju svoju flotu i poslovanje kao BT i da dovedu savesne ljude u Managment koji ce da se trude kao Piloti i ostali zaposleni .I onda ce imati profit . Imace profit pravi i pravi Hub. I kakvu viziju ima trenutno rukovodstvo CTN za letnju sezonu nikakvu sve pare od turista ce pokupiti LCC i ostale strane Aviokompanije pa i ASL. Lufthansa and co. should definitely look into Adria. If Croatia goes to Qatar Airways they would probably leave Star Alliance. You have already lost Air Serbia which will get Montenegro Airlines as a feeder and then you are pretty much left with nothing in the region (I'm not even going to consider B&H Airlines). Unless they set up a Eurowings base in Zagreb, which I wouldn't be surprised. Both Montenegro and Adria would be welcome additions to Etihad family. Adria could add PRN-BEG and BEG-LJU-JFK flights, for example. which aircraft would you prefer? Since you so kindly asked, I would very much prefer Gulfstream G650ER. Barring that, A332 would do. Thank you! Why there a notion among commentators here that Adria or Croatia must be owned by another airline? They could be owned by an investment group or company which is not related to aviation at all. They don't but that will depend on the tender rules. But remembering the experience Balkan Airlines had, I would stick to airline partners. Will write in the next few days about an incident on PC894 that inadvertently reminds me of today's catastrophe. A sta to recimo jedna Adria ima, da bi bila zanimljiva nekom stranom investitotu kao sto je Qatar Airways i slicni ? Svi avijoni su im na leasingu, nisu vlasnici, imaju slabe slotove zakupljene na aerodromima. Sad su vec poceli sparati na LJU sa parkiravanjem na stajnici. Jednom Qatar Airwaysu je bolje dat 5 avijona u LJU i zaposlit Adrijine cabin crew i pilote i vozi misko. Sto bi netko davao velke pare za firmu koja nema nista, osim "branda" i loga "adria"